Are family-owned and -operated – Corporate roofing companies make you feel like a number, but we offer personalized customer service that’ll make your roofing project a more enjoyable process. Have earned a plethora of accolades – We’re EcoStar Gold Certified, we’ve won the Governor’s Award for Business Ethics, and we’re a GAF Certified Master Elite Roofer. Bring decades of experience to the table – We’re seasoned pros when it comes to everything roofing related. 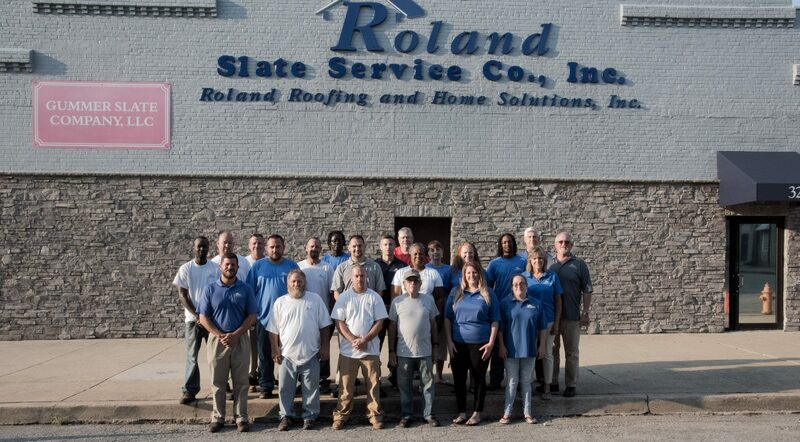 Regardless of which roofing service you need, Roland Slate Service Company will deliver with aplomb. Repairs – We keep flexible hours so we’re available for emergency roof repair services. Inspections – A thorough roof inspection can help you avoid surprise roof leaks. Roof maintenance – Routine maintenance can help you squeeze as many years as possible out of your roof. Estimation – We offer a free roofing estimate that includes a thorough inspection. 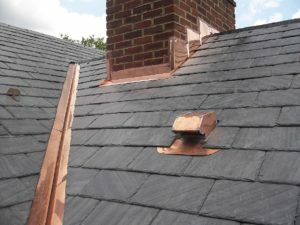 Roof flashing – Avoid water leaking in to your home with quality roof flashing installation. When you’re ready to start your roofing project, get in touch with the reliable roofing company Catonsville homeowners trust: Roland Slate Service Company.